Where are the easiest and hardest places to take the UK driving test? 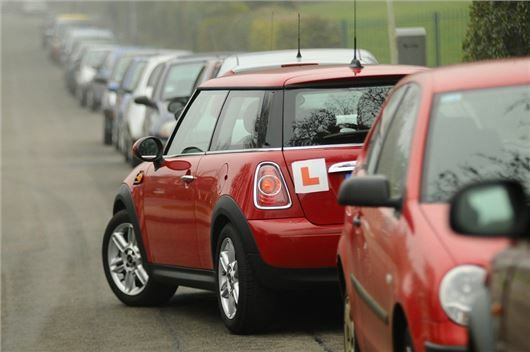 Learners taking their driving test in London, Liverpool and Manchester are more likely to fail than those taking the test anywhere else in the country, according to data from the Driver and Vehicle Standards Agency (DVSA). Belvedere in London has the lowest driving test pass rate in the country (28 per cent) while Garston in Liverpool is ranked as the second toughest, with seven out of 10 candidates failing. It's a similar story at Cheetham Hill in Manchester and Salford, with pass rates ranging from 33 - 34 per cent. At the opposite end of the scale, learners in rural Scotland have a much easier time, with eight out of 10 of candidates in Golspie in the Highlands achieving a pass. Ullapool on the west coast of Scotland is listed as second best, with an average pass rate of 75 per cent. Whitby has the highest pass rate in England (70 per cent) while those in Middlesbrough are 18 per cent more likely to fail. It's a similar story in Wales, with learners in Llandrindod Wells (71 per cent) being almost twice as likely to pass compared to those who take their test in Cardiff. "The highest pass rates are understandably in parts of the country that have less people, but it's important to note that some of these areas are very remote and can result in new drivers struggling when they move home or take a new job in a city," explains Lynne Barrie of the Approved Driving Instructors National Joint Council. "We have heard of cases of learners travelling to a test centre in a remote location, simply because there is a higher chance of them passing. However, this can leave them ill prepared for dual carriageways or fast flowing traffic. That's why we recommend all new drivers take additional tutoring after they've passed, so they can get the important skills for safe driving," she adds. The data from the DVSA shows that, between 2015/2016, 47 per cent of learners achieved a pass in their driving test, while the number of those passing at the first attempt (347,825) has remained steady over the past five years at 47.5 per cent. On average, 51 per cent of men pass their driving test, compared to 44 per cent of women, while Goodmayes in north east London carries out the highest number of tests, with 5400 taking place each year. Belverde, Garston, Cheetham Hill, why? Only because number of people?